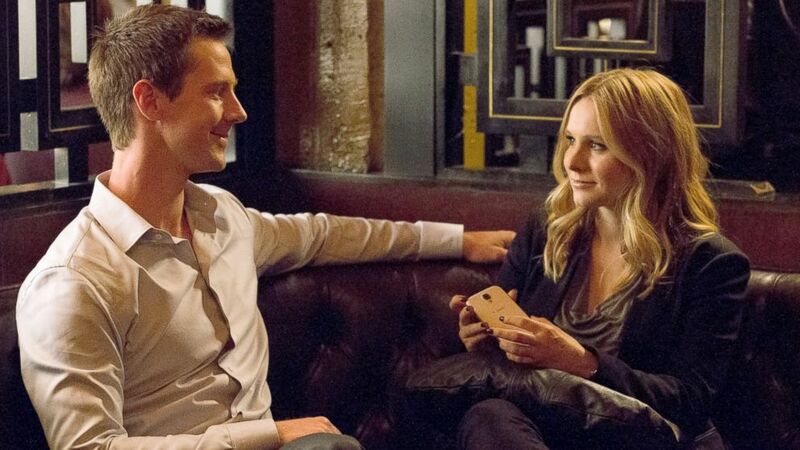 Veronica Mars – The Future of film distribution? When the Kickstarter-funded Veronica Mars movie was announced I was interested rather than excited. I have seen a reasonable number of episodes of the TV show but not enough to be a real fanboy. Not top of my list of anticipated films of the year, I did intended to see it. What I didn’t realise was that it wasn’t going to get a UK general release. I therefore missed it on initial release but have finally caught up with it. I don’t intend to review the film but here are a few thoughts before I move on to the reason for this article: The film opens with Veronica about to take a job with New York City law firm when she learns her former squeeze Logan has been arrested for murder. She drops everything to go and help him. This means returning to her (fictional) hometown of Neptune, California, a place she describes in voiceover as “a Springsteen song, get out while you’re young”. The central conceit of the film, the events take place during a school reunion is actually handled really well and doesn’t become obtrusive. The balance is perfect, there is just enough comedy to keep the drama light, more importantly for someone like me with only a passing knowledge of the TV show there is just enough exposition. It does leave me with the question, why isn’t Kristen Bell a bigger star? She has had a successful TV and movie career without ever appearing in a massive film (if you take out her voice work in Frozen). At 33, in a youth obsessed industry she is most likely at the peak of her career now. Fans, don’t despair, she isn’t about to disappear from our screens, IMBD has plenty of forthcoming projects listed for her and there is talk of a second Veronica Mars movie. The thing it got me thinking about was the way it was released. As mentioned above, it only had a limited cinema release across ten venues in UK and Northern Ireland. It appears the release in America was similarly confusing with a small release across one chain. The foreign box office only lists three counties, Austria, Germany and United Kingdom. Given the unusual funding, it’s hard to say if the film has been a financial success or not, it appears to have taken $3,485,127 against a budget of around $6 million. Although their appears to be a $2.5million hole, I expect it isn’t that simple. The film was also released to rent or buy online platforms and through video on demand at the same time as its cinema release. Were the rights presold or is this an extra revenue stream? It is also worth remembering that the Kickstarter campaign was the most successful ever with $5,702,153 raised from 91,585 donors. Whatever the truth, the story of the films finances are far from over, with DVD/Blu-ray sales and TV deals the movie has time and options to make money. It may even encourage back sales of the box sets of the original show. Mark Kermode supports it as a way to encourage people watch films legally online and not via illegal sites. As time goes on the process will be refined and the studios will work out the angles to ensure they make money out of it. Will this help deter piracy or encourage it? I’m not sure. If this is the way forward, I can see a positive side to it. If it helps filmmakers get their product to as many people as possible and get paid for it allowing them to continue their art, it must be a good thing. The downside, I like watching films at the cinema on big screen, and if less and less smaller and independent films make it to the cinema, that cannot be good. Having watched the X-Men: Days of Future Past I decided to look out the original comic book first published in 1981 in The Uncanny X-Men issues #141-142 by writer/artist team of Chris Claremont, John Byrne and Terry Austin. I had read it many years ago but didn’t remember much beyond the basic story. I was most surprised at how short it was consisting of around 40 pages over two issues. 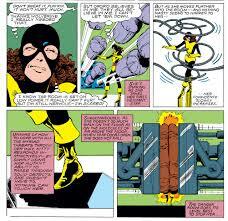 So unlike so many films that cut out large chucks of source material, Days of Future Past expands on the idea. The film has always been sold as “Inspired” by the comic and not a direct adaptation. The differences in plot are for the continuity of the film series as well as for dramatic reasons. I thought I would list a few. In the Comic; Kate Pryde travels back in time to inhabit her younger self, chosen, as the newest and youngest member she hadn’t been trained to defend herself against psychic attack yet. She is referred to as Kate in the future and Kitty in the past. 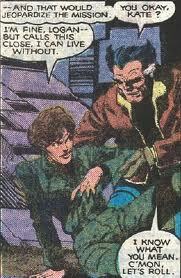 Wolverine is sent back by Kitty Pryde. In the comic book Mystique has formed a New Brotherhood of Mutants: Avalanche, Pyro, Destiny and The BLOB. Mystique and The Brotherhood of Mutants kill presidential candidate Robert Kelly, Charles Xavier and Moira MacTaggert. 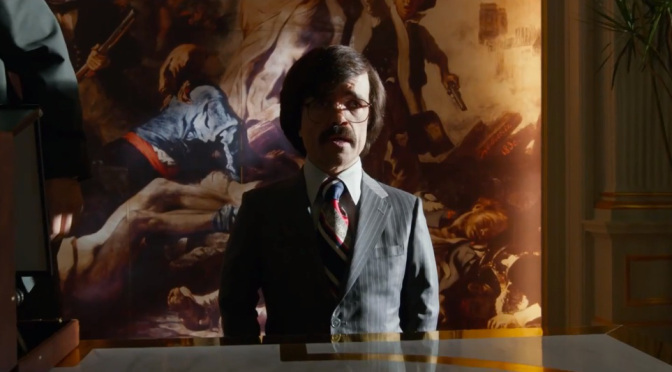 Mystique kills Bolivar Trask, the designer of the Sentinels. In the comic book we don’t see Mystique killing Kelly, Xavier and MacTaggert, we are only told about it. In the film we are shown Mystique killing Trask. 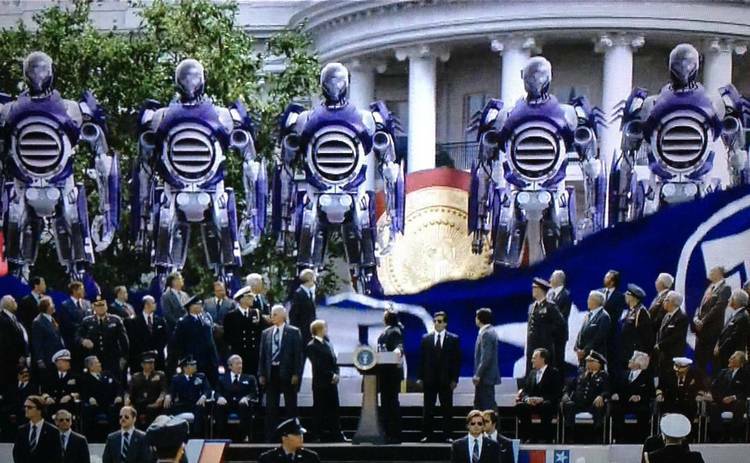 In the comic Mystique’s attack sets of a chain of events leading to the sentinels taking over America and about to embark on a nuclear war with the rest of the world. In the movie Mystique is captured and her ability (and those of others we are shown) help create a next generation of Sentinel that recreates mutant abilities and uses them against their enemies. In 1980 Wolverine has his adamantium. in 1973 Wolverine is yet to have his adamantium. In 1980 Xavier is bald. In 1973 he has hair. In the comic the attack happens during a senate hearing in Washington. 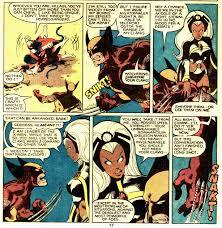 In the comic the X-Men team who stop Mystique are Wolverine, Colossus, Storm, Angel, Sprite and Nightcrawler. 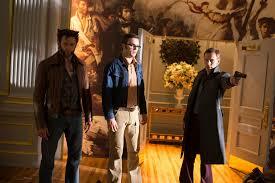 In the movie they are: Wolverine, Professor Xavier, Magneto and Beast. In the comic book the X-men resistance escape from a concentration camp try and break into Sentinel HQ to stop the nuclear war from happening. 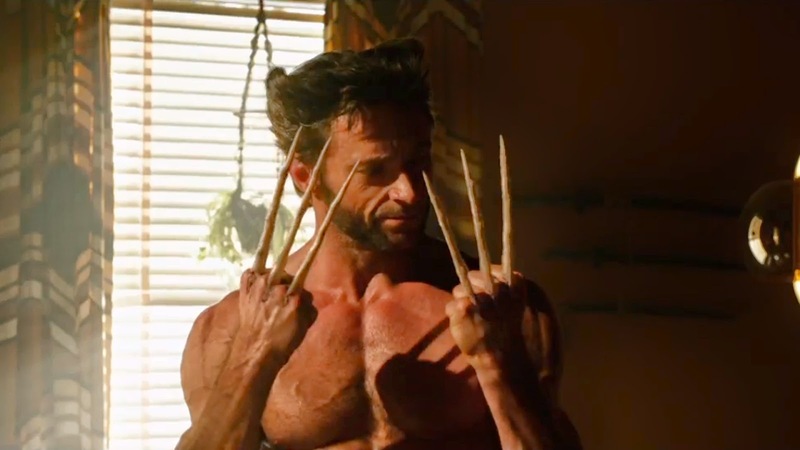 In the movie they hold up in a monastery in China knowing they will be found and killed but holding out as long as they can, Wolverine being their only hope. After the attack on the senate hearing fails the story in the comic book is over. The movie has another act where magneto fucks things up and they have to stop him too. The characters in the comic book version of the future do not know if they have succeeded in changing the future. 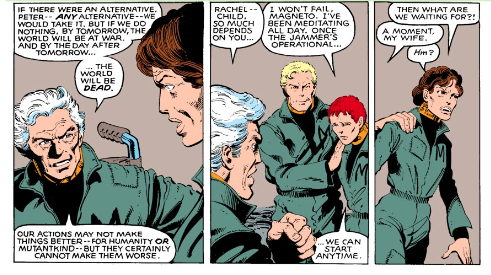 Rachel Summers (herself from an alternate reality) speculates “our world may not change at all, instead Kate’s actions could create an entirely different timeline… an alternate parallel earth”. The movie appears to exist in a single changeable reality, when they succeed the future is rewritten, the characters disappear and reappear in a new reality with only Wolverine remembering the dystopian world. I’m sure there is lots more I have missed. Over 50 years and 23 movies James Bond has moved with the times without aging. The stories in the films are largely self contained. The continuity from one film to the next is shaky at best. Comic books have a different approach having story arcs that last months or years, eventually however they rewrite history often as new writers come in. Sometimes this is done within the story other times it is simply what we now call a reboot. Comic books often contain more than one story at a time, these stories can appear at any time in the within the timeline of the characters, this helps distract from the reinvention of the characters. This has found its way into the movie adaptations. Batman, Spiderman and Superman have all had the reboot treatment recently. The X-Men took a different approach. Bryan Singer’s first film in 2000 took all already established group, any origin or back story was told in flashback over the first two movies. 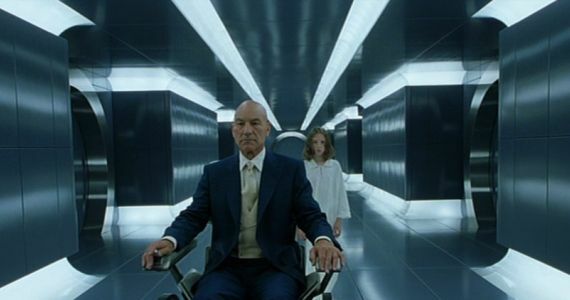 Instead of rebooting the series, X-Men: First Class (2011) went back and told the origin of the characters in the 1960’s keeping the existing continuity (more or less). Despite positive reviews and a strong box-office the film has never received much love. When everyone expected a First Class sequel or another origin movie. What they came up with was nothing short of stunning in its audacity. Returning director Bryan Singer has come up with sequel to The Last Stand (and The Wolverine (2013) that was a sort of sequel to The Last Stand) and First Class, that at the same time rewrote continuity of the entire franchise except First Class and part of Origins: Wolverine, wiping out the events of The Last Stand. 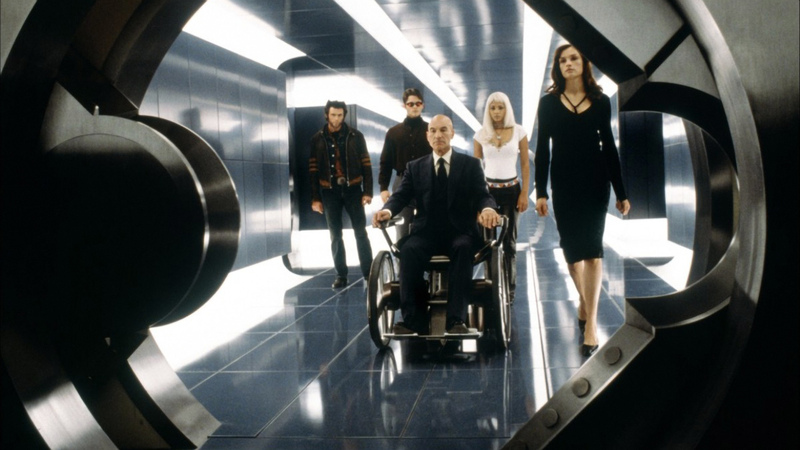 A similar thing was achieved in Star Trek (2009), while that series gave the opportunity to reboot and recast the series within the continuity of the original films and TV show the X-Men has a far different agenda and appeal. All the events from 1973 onwards can be re written without having to worry about continuity of the original trilogy, and best of all within the new continuity, the events of X-Men: The Last Stand did not happen. 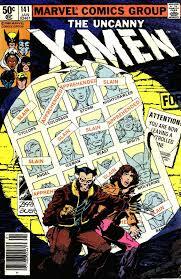 Like so many other comic books, the X-Men seem to pick and choose between a multiverse and single changeable reality. The way characters disappear from the screen when the past changes suggests that it becomes a “dead reality” and not part of an alternate reality. So where does that leave us? The possibilities are endless but a few thoughts on what this opens up. 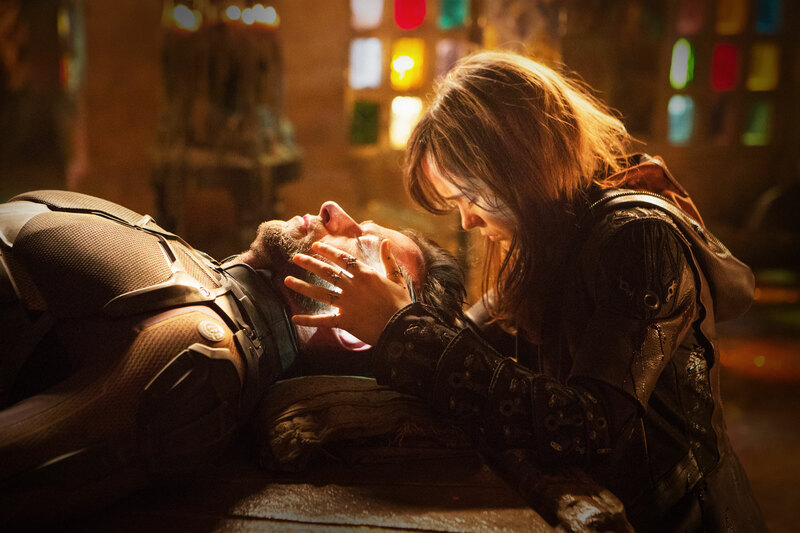 Days of Future past ends with Wolverine in the hands of William Stryker (or does it? ), I think we have seen enough Weapon X and Wolverine getting his adamantium, but what he does after this is up fro grabs. A new path in his life could result in Wolverine joining The X-Men prior to 2000 as he did in the original movie. 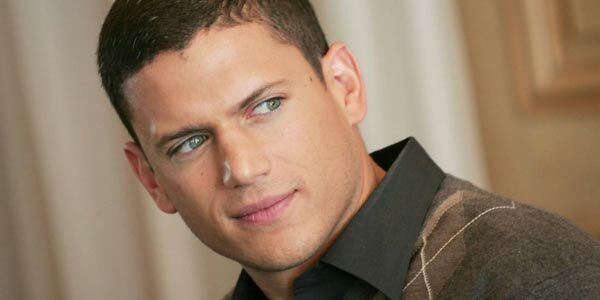 This allows him to appear in X-Men Apocalypse. It would mean he doesn’t meat Rogue when he did in that movie. That will change her timeline dramatically, although we do see her at the School at the end of the movie, so she makes it to the X-Men one way or another. This leaves the door open for a Mystique and Rogue Movie. The biggest criticism many fans have of The Last Stand is the way it handled The Dark Phoenix story, this could now be retold. It could work as a standalone movie told in two time periods, the other story coming from The Adventures of Cyclops and Phoenix. 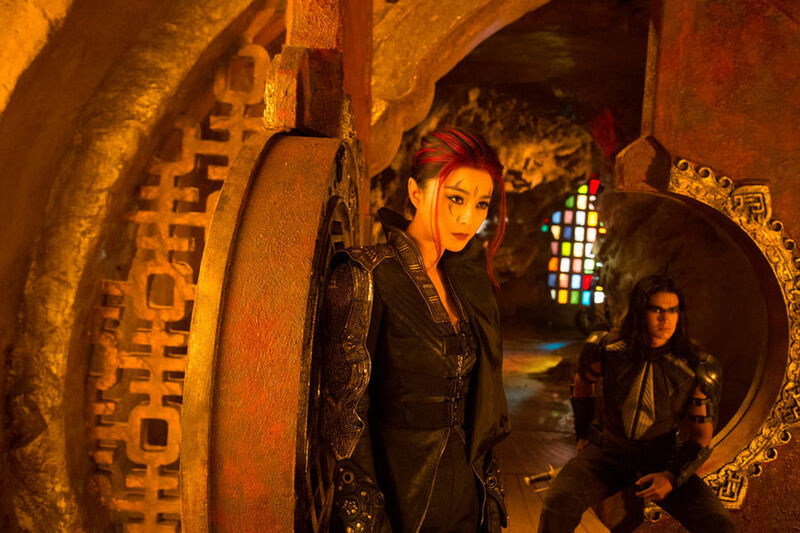 However poorly handled Phoenix/Jean Grey was in that movie Famke Janssen is perfectly cast. The other character who was short-changed in that movie is Psylocke aka Elizabeth “Betsy” Braddock. She was unrecognisable from the character in the comic book. She could be re-introduced, however, she was famously missing from the original Age of Apocalypse comic. 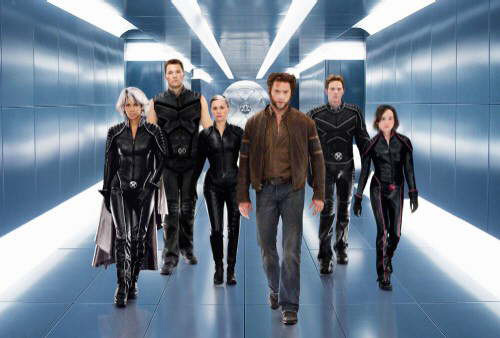 There are a few clunks and contrivances along the way but when you look back at it the X-Men franchise has done what so many other franchises have failed to do. Just eight years after Tim Burton reinvented Batman (1989), Joel Schumacher had killed the franchise with Batman Forever (1995) and Batman & Robin (1997). It took Christopher Nolan another eight years to reinvent the character with Batman Begins (2005) and the rest of the Dark Knight trilogy. It took Sam Raimi just five years to reboot and destroy Spider-Man between 2002 and 2007 resulting in a reboot in further reboot in 2012. 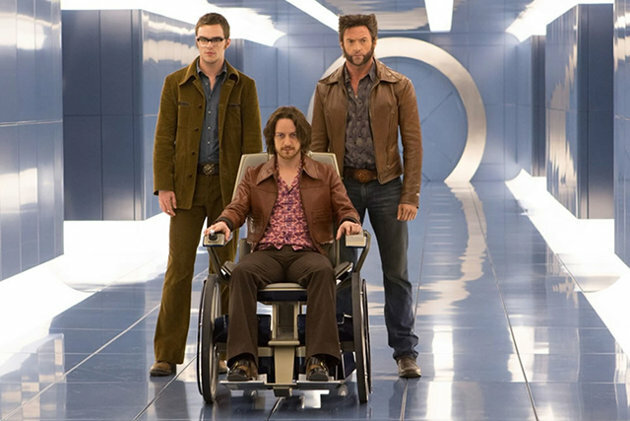 The X-Men has recovered from the disasters of The Last Stand and Origins: Wolverine to come up with three decent films X-Men: First Class (2011), The Wolverine (2013) and now X-Men: Days of Future Past (2014). The post credit sting doesn’t reveal anything we don’t already know, the next film, X-Men: Apocalypse based on The Age of Apocalypse story arc has been announced and is set for release in two years time. As long as Bryan Singer stays onboard as director I am looking forward to it. Monsters and Godzilla director Gareth Edwards has been announced along with screenwriter Gary Whitta (The Book of Eli) for an upcoming “Untitled Star Wars Project” set for release in two years time, a year after J.J. Abrams first film in a new trilogy. The film is described as a standalone story but no other details have been given. This has resulted in huge amount of speculation. The most popular theories seem to be an origin movie of either Han Solo or Boba Fett. I am not exactly excited about either of these ideas. I don’t want to know any more about Solo’s back story and am not interested in Fett’s. A far more interesting idea for a standalone movie would be to go back before anything we have seen before, a story of “a more civilized age”. 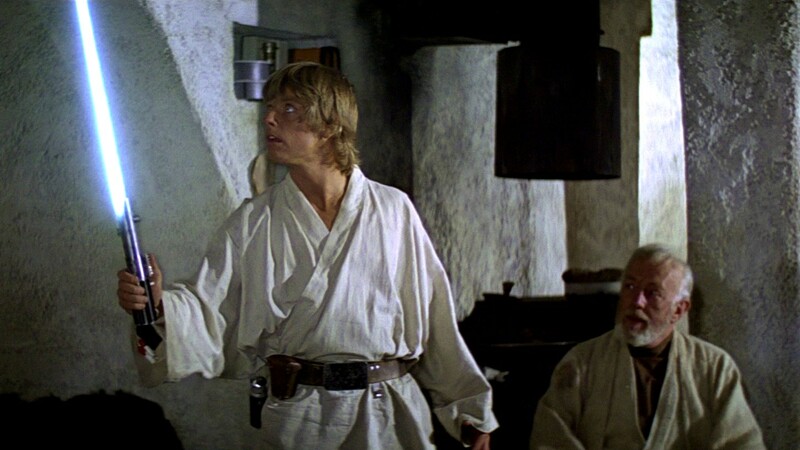 In the first Star Wars movie Obi-Wan gives Luke his father’s light saber, “the weapon of a Jedi Knight. Not as clumsy or random as a blaster; an elegant weapon for a more civilized age”. The window into this age is a small one taken from just a few lines of dialogue; Obi-Wan went on to say: “For over a thousand generations, the Jedi Knights were the guardians of peace and justice in the Old Republic. Before the dark times… before the Empire”. It is worth remembering that Star Wars is now a Disney property like the Marvel Avengers Movies. They do however differ in their execution. Where The Avengers relied on the success of Iron Man to kick-start the franchise, Star Wars is already existing and established. While an Avengers movie may have always been in the background, had Iron Man failed we probably wouldn’t have seen Thor or The Avengers. 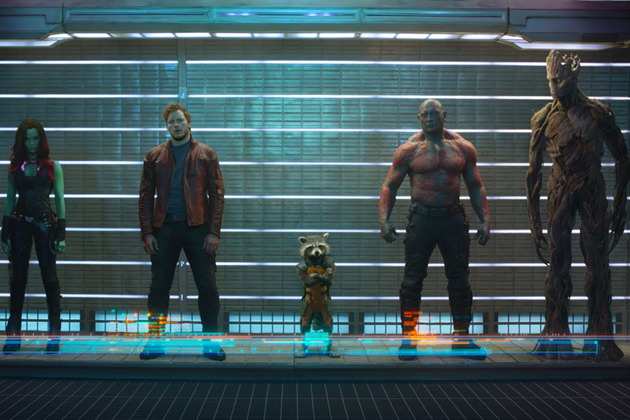 Since the success of the movies there has always been a thread running through them, they have even introduced another connected franchise, Guardians of the Galaxy, the first of which is due out in six weeks time. So does Stand-Alone mean a new and completely unconnected story, or just a film outside the upcoming trilogy? Whatever they do the idea and setting mean nothing without a strong script and well chosen actors. Whatever they are thinking, only time will tell, but I can’t help feeling the franchise is in safe hands with J.J. Abrams and Gareth Edwards. I am rapidly moving from ” I have a very bad feeling about this” to A New Hope! For those who don’t already know The Black List is a list of the best scripts that haven’t as yet been made into a film. It started life in 2005 when film executive Franklin Leonard surveyed around 100 of his peers. To quote the list: “THE BLACK LIST is not a “best of” list. It is, at best, a “most liked” list.” I fist heard of The Black List a few years ago, I think it was in relation to Diablo Cody around the time of the release of Juno (listed second on the first list with 24 mentions). The list was spoken about in such a way that everyone already knew about it, I had no idea what they were talking about and had to look it up. I found the idea of a list of the best undeveloped scripts interesting but unsurprising in this list obsessed world. The list seems to be mentioned more regularly these days, I’m not sure if more films are been made from it or if people are just more aware of it. The internet is full of lists of best and worst movies from the list. I’m more interested in the variety of films that came from the list than the quality of them. There are certain films that you expect to have come from the list, these include indie hits like: IN BRUGES (Martin McDonagh), WHIP IT (Shauna Cross), TAKE THIS WALTZ (Sarah Polley), SCOTT PILGRIM VS. THE WORLD (Edgar Wright & Michael Bacall), JUNO (Diablo Cody), ADVENTURELAND (Greg Mottola), 500 DAYS OF SUMMER (Scott Neustadter & Michael H. Weber), NICK AND NORAH’S INFINITE PLAYLIST (Lorene Scafaria). But then there are other films that you don’t expect to have come from the list. After the success of TWILIGHT the studios seemed to be buying up the rights to every half successful Young Adult novel, amazingly both THE HUNGER GAMES (Billy Ray) and ENDER’S GAME (D.B. Weiss) started life on The Black List. Three best Picture Oscar winners came from the list: ARGO (Chris Terrio), THE KING’S SPEECH (David Seidler) and SLUMDOG MILLIONAIRE (Simon Beaufoy). In total Black List films have been nominated for 171 Oscars winning 35. The real surprise for me are the big name directors who ultimately made their own films from the listed scripts: THERE WILL BE BLOOD (Paul Thomas Anderson), DJANGO UNCHAINED and INGLORIOUS BASTERDS (both Quentin Tarantino). 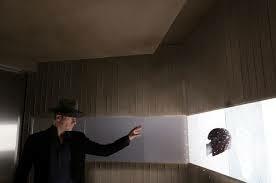 As well as THE PRESTIGE (Jonathan Nolan), The resulting film being directed by his brother Christopher Nolan. All three directors are at a stage in their career that one imagines that within reason they make what they want, when they want. Now the survey is conducted annually with an increased voter pool. It has also evolved into a showcase for new screenwriters. For a fee anyone can upload their scripts to a database where industry professionals can see them. And on the subject of new screenwriters, my favourite film of last year, Chan-wook Park’s STOKER came from a Black List script from first time screenwriters Wentworth Miller best know as an actor in the TV show Prison Break and the Resident Evil movies. The variety and varying quality of films made from the list is a reflection of cinema as a whole. There are many possible reasons for this but I believe it is simply because the script is just one part of the film-making process. While a great script in the hands of the perfect director with the best cast will result in a great film, a great script can be destroyed by poor direction, acting or editing. Equally an average script may be rewritten during the production process crating a brilliant film. Going forward I will be interested to see what movies come from The Black List but won’t necessarily have expectations for them over and above any other movie. Hands up, I lied! The title is a little misleading. This article isn’t a debate about who is the better or most successful director. The two Paul Anderson’s (They were both originally credited as Paul Anderson) are a good representation of two extremes of filmmaking. Both directors, now in their 40’s made their feature directing débuts in the 1990’s when they were in their 20’s. during that time Paul Thomas Anderson has made 6 films in 18 years. He is noted for his innovation, encyclopaedic film knowledge and long thoughtful films. 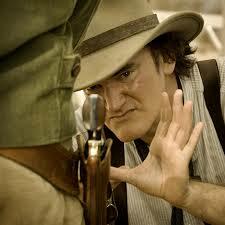 He has been nominated for 5 Oscars and his films have ratings of between 79% and 92% on Rotten Tomatoes. Paul W.S. Anderson has made 14 films(two of them made for TV) in 20 years, makes dumb, fun action movies with midsized budgets, his Rotten Tomatoes scores range between 10% and 43%, he as yet has not being nominated for an Oscar but his films do tend to make a profit. So is one of them a better or more worthy director? No. Here is the crux, I have seen every one of Paul Thomas Anderson’s films: Hard Eight (1996), Boogie Nights (1997), Magnolia (1999), Punch-Drunk Love (2002), There Will Be Blood (2007) and The Master (2012). I have enjoyed, admired and liked every one of them, but the interesting thing, Boogie Nights is the only one I have seen more than once. I have seem most of Paul W.S. Anderson’s movies and have seen the following ones on more than one occasion: Shopping (1994), Event Horizon (1997), Soldier (1998), Resident Evil (2002), AVP: Alien vs. Predator (2004), Death Race (2008) and The Three Musketeers (2011). The difference, Paul Thomas Anderson makes films, Paul W.S. Anderson makes movies. To put it another way, Paul Thomas Anderson is an artist who makes films that have artistic merit, Paul W.S. Anderson makes trashy genre movies. The important thing, I don’t use the words trashy or genre in a derogatory way. If you read the reviews for his latest movie Pompeii you will see a trend, something like “it isn’t very good but I enjoyed it”. The best analogy I can use is music. Is pop and rock music any less relevant than classical music. Take for example Rod Stewart’s Maggie May that was recorded in just two takes and was never actually perfected. Or The Beatles debut album Please Please Me, most of which was recorded in one 13 hour session with singer John Lennon suffering from a bad cold. 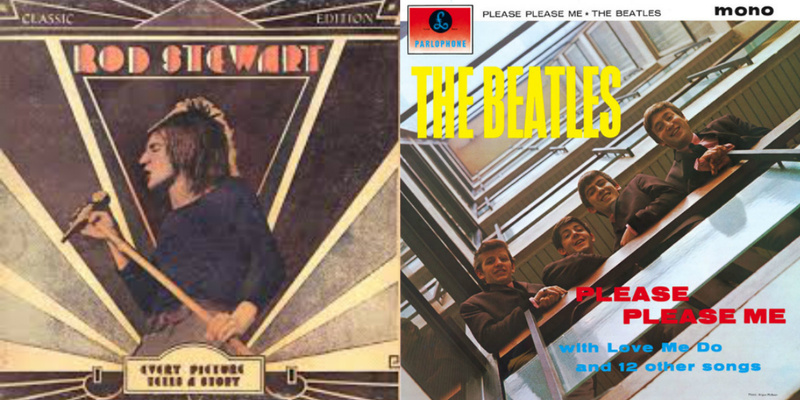 Both Please Please Me and Every Picture Tells a Story (the album Maggie May appears on) feature in Rolling Stone magazine’s list of the 500 greatest albums of all time. The fact people are still listening to them around half a century later demonstrates their lasting appeal. Or to put it another way, a good burger is better than a bad steak! What conclusions can we draw from this? I think we need to draw our own conclusions. For me the measure of a film/movie isn’t how much money it makes, how original it is, how artistic it is, but how much I enjoy watching it and how much I want to see it again. By this measure Point Break and Die Hard are amongst the “best” films ever made and Event Horizon and Resident Evil are as good as or better than any Paul Thomas Anderson movie. I want to be a nonconformist. Just like everybody else. 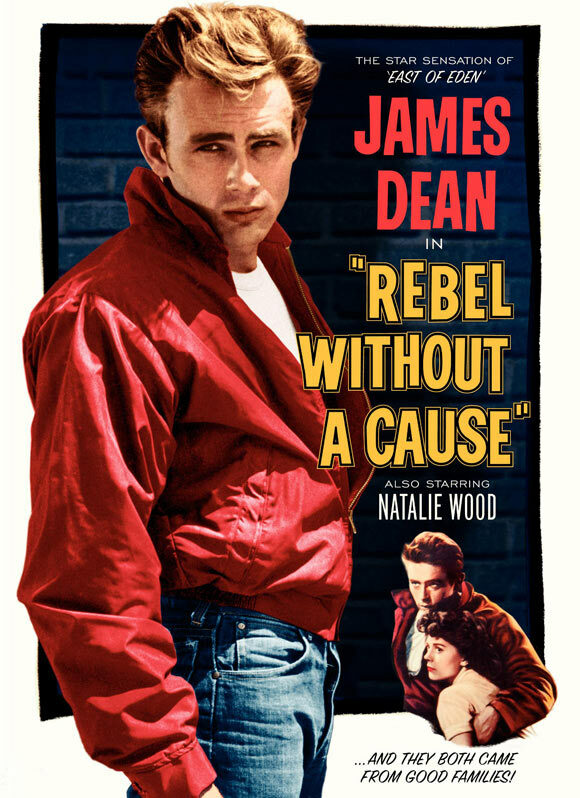 Nearly sixty years after its original release Nicholas Ray’s seminal tean drama Rebel Without A Cause has been given a limited rerelease in cinemas. Made around a decade after the term teenager was coined, James Dean’s Jim Stark probably cinemas most notable adolescent. The template set by that character has endured ever since. From John Bender and Gardner Barnes to Cady Heron and Bliss Cavendar all the notable teenage and young adult charters from cinema have been outsiders in one acceptance within a group. This trend is most evident in the glut of children’s and young adult novels that have been adapted into movies in recent years. In the modern cinematic world, being a little socially awkward isn’t enough. 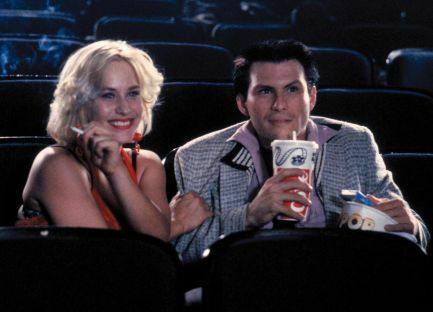 While the 80’s may have been the era of the teen movie, today’s films deal with the same angst, but it often disguised with a thin veil of fantasy and the fantastic. Initially not knowing his magical origins and not totally understanding his destiny until the end, Harry Potter (2001-2011) never quite fitted in the Muggle world or magicians world. The same is true of Clary in The Mortal Instruments: City of Bones (2013), Lena Duchannes in Beautiful Creatures (2013), Ender Wiggin in Ender’s Game (2013) and “John Smith” aka number 4 in I am Number Four (2011). Twilight (2008 – 2012) is an interesting addition to the theme. Edward Cullen is an outsider because he is a vampire, he is an outsider within vampire’s because he is a “vegetarian”, but he is already accepted by his family. Jacob Black doesn’t know he is an outsider until he becomes a wolf. Bella Swan is an outsider, simply by being a typicle teenager. This disparate group find their place by their acceptance of each other. 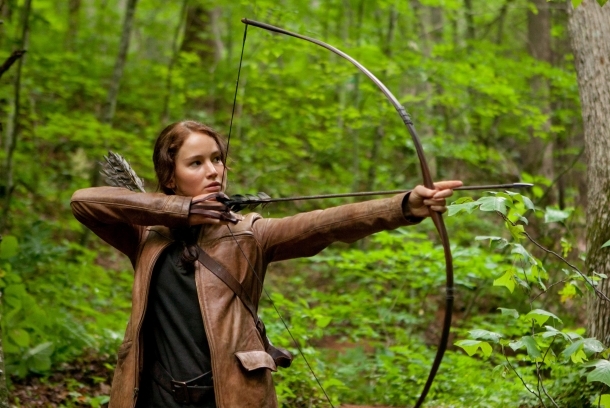 Katniss Everdeen in The Hunger Games (2012-2015) is somewhat different, she is human and only extraordinary by her actions, but they are actions caused by the dystopian world in which she lives. So as strange as it sounds, The Hunger Games is closer in this respect to the teen movies of the 80’s than many of the supernatural movies of recent years. 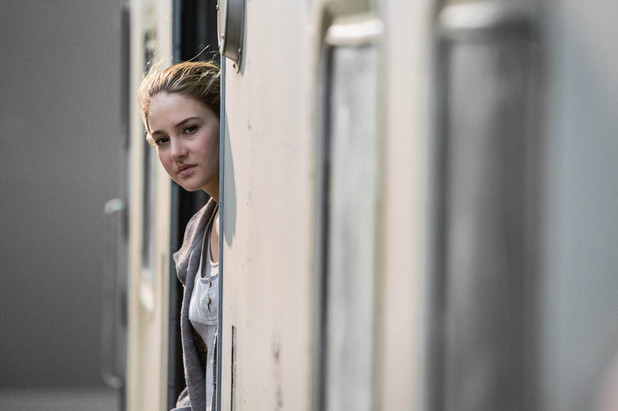 But this leads neatly onto the latest pretender Beatrice “Tris” Prior in Divergent (2014). Born into a society that where people are divided into factions divined from peoples personalities: Abnegation (selfless), Amity (peaceful), Candor (truthful), Erudite (intelligent) and Dauntless (brave). When tested Tris is discovered to Divergent, someone who has attributes of multiple factions. This is considered to be a danger to society, a clearly flawed society making her an instrument or catalyst for change. Not satisfied with just finding her place in society, she has a part in shaping it. Following so closely on from The Hunger Games is this the new direction for the genre? Have writers lost their imagination and need to create a dystopian world for our outcasts to inhabit because they have run out of ideas to make their ideas interesting? Or have we seen it all before and are too cine-literate to be interested in the mundane of real life? I think there is some truth in this, but with well drawn characters and a good script, everyday life can be just as interesting as the spectacular, take: 10 Things I Hate About You (1999), Igby Goes Down (2002), Easy A (2010) and The Perks of Being a Wallflower (2012), all films that could all sit alongside the films of John Hughes. A perfect example of this, is Jennifer’s Body (2009), while I am a fan of and constant defender of the movie, despite the inclusion of supernatural, it isn’t as good as writer Diablo Cody’s previous film Juno (2007) but they both perfectly explore the anxieties and ideas I am talking about. I could be reading too much into this but ultimately I think the success of films like Rebel Without A Cause, The Breakfast Club and Divergent is that they have all tapped into a fundamental paradox of human nature. As a society we are desperate to fit in but we also want to stand out from the crowd. For those who are wondering, I am not sure of the origin of the quote "I want to be a nonconformist. Just like everybody else" but first saw it attributed to the street artist Banksy.